They are easy to invest in, allowing you to send in whatever amount of money you wish after an initial investment. They don’t require that you understand how to place a stock order. They provide easy diversification, meaning that you don’t have all of your money in one or two stocks. That said, investing in mutual funds can be intimidating, mainly due to the number of funds out there and the difficulty in sorting through all of the sales pitches. In addition, just figuring out the mechanics of investing in mutual funds can seem daunting if you are not used to investing. Luckily, with just a little knowledge, you’ll find that investing in mutual funds is actually really easy. In this article, we’ll go through everything you need to know to start investing today. 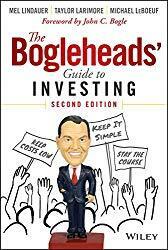 , which is a must-read if you want to start investing. 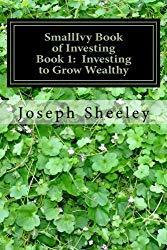 They provide all of the rationale for using index funds, which buy a fixed set of stocks that essentially mimic the behavior of a segment of the stock or bond markets, instead of traditional mutual funds where a manager decides how to invest the money. This book is highly recommended since we won’t go into this level of detail today. Opening an account with either mutual fund family couldn’t be simpler. With just 15 minutes and some financial information, such as your address, social security number, etc…, you can open an account through the website of either. There is also great customer support if you need some help. Once you’ve filled in all of the forms, you just need to put funds in the account. This can be done by sending in a real or electronic check or transferring money electronically from a checking or savings account. The staff at these fund families is happy to help and provide more information. Each fund has a minimum, typically between $3,000 and $5,000, so you should raise at least this much money before opening an account. Many brokerages/fund families will allow you to invest lower amounts if you sign up for automatic drafting each month from your checking account. This can be a good option to allow you to start sooner. Plus, regular investing is the key to doing well since it allows you to spread your buying out and get better prices than you’ll typically get if you just dump money in periodically. Most of these should be index funds since they have lower fees than managed funds. There can be exceptions to this rule, but it is generally true. The advantage fo this fund is that it has dirt-cheap fees at 0.04%. It is a blended fund, meaning that they invest in both companies that are growing rapidly and those that are undervalued. A disadvantage is that the S&P500 is very widely owned, meaning that most people own these stocks already. This stock is still an index fund, meaning that it will have low fees, but tries to do better than the S&P500 by buying those stocks that have growing dividends, which is normally a sign of health. This is a general large-cap fund that buys pretty much everything in the large stock area of the market. This is a good general fund that will provide good diversification. 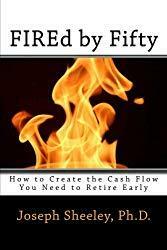 gives a strategy for building a cash flow plan and freeing up money to build wealth. The amount of your portfolio that you put into bonds and REITs, which are both assets that pay you a regular income stream, depends on your tolerance for risk and whether or not you want to generate income now or just let your portfolio grow for later. Bonds will not do as well as stocks over long periods of time, but adding some bonds to your portfolio will tend to reduce the level of fluctuations you’ll experience in portfolio value since bonds and stocks will not always go int he same direction. Getting interest payments also helps when the markets are stagnant since you’ll at least be getting some return during the period. If you are decades from needing the money, bond and REITs should only make up perhaps 20-30% of your portfolio.